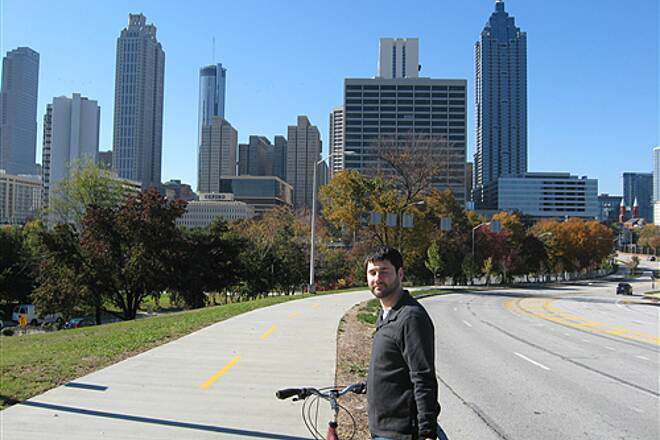 While most Atlanta residents would know this trail as a greenway through Freedom Park and Candler Park, it's really much more: a continuous 19-mile stretch of car-free paths and on-street bike lanes connecting Midtown Atlanta to Stone Mountain Park. 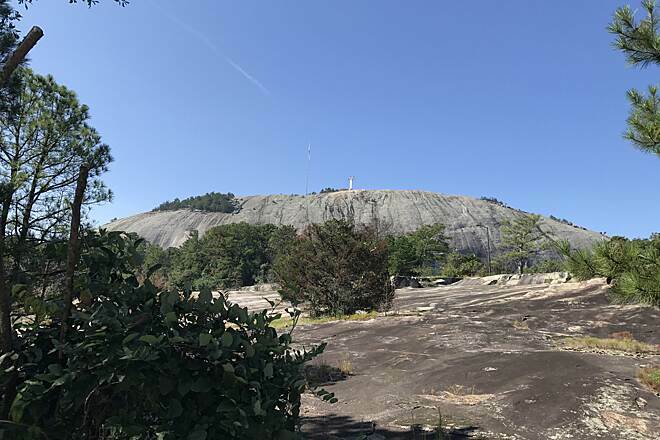 Along the trail’s route, you'll see skyscrapers, the Martin Luther King Jr. National Historic Site, the Carter Center, Fernbank Museum of Natural History, downtown Decatur and, of course, "the big rock" (Stone Mountain). A few hills along the way will also give you a good workout. 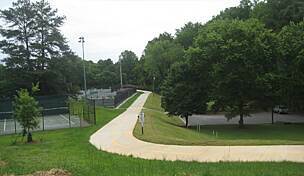 The western end of the trail is near Georgia Tech's Midtown campus. 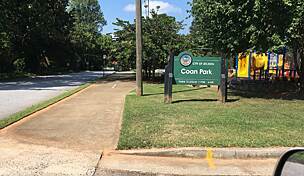 From there, the trail heads east to Freedom Park; look for lots of company here. 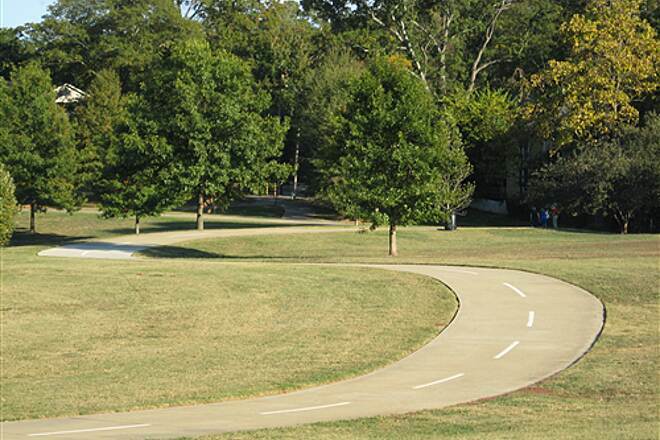 This stretch is also appropriately known as the Freedom Park Trail. 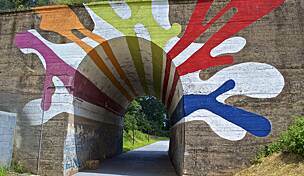 Near the Jimmy Carter Library and Museum, the trail intersects the Atlanta BeltLine’s popular Eastside Trail. 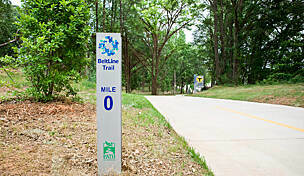 When it reaches Candler Park, the Stone Mountain Trail begins its on-street stretch, an approximately 1 mile ride to the next segment of trail along the active MARTA rail line in Decatur. 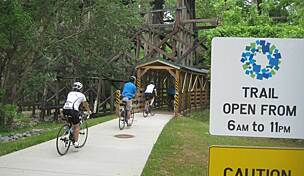 To reach the Trolley Line Trail instead, continue southwest along Rocky Ford Road and Oakview Road from the west end of the rail-with-trail segment. 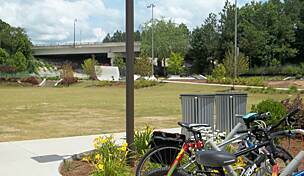 Another on-road route from the Stone Mountain Trail’s eastern end leads through greater Clarkston's industrial lots to a great view of Stone Mountain. In Stone Mountain Park, take the 4.5-mile loop trail around the mountain for a look at the local flora and fauna and lake views. 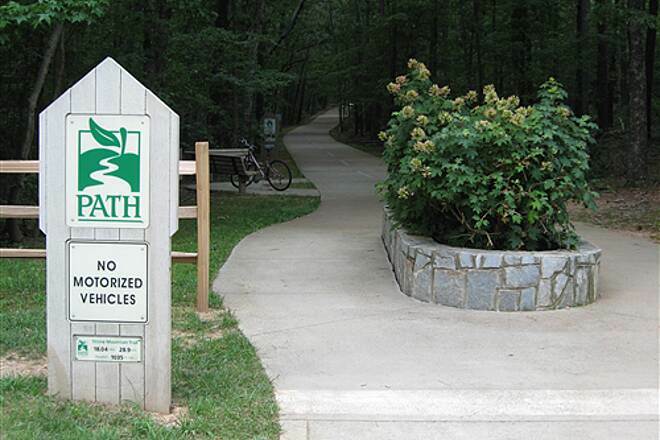 The Stone Mountain Trail has numerous access points with places to park. 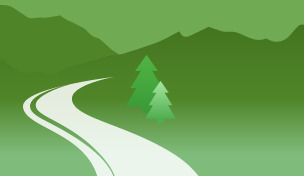 Visit the PATH Foundation’s official website for maps. This is ok for leisure riding, but not for road bike training. There are stop signs, and stop lights all over the trail. Just to many road crossings to enjoy. 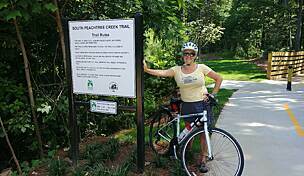 I was thinking Rails to Trails, which typically means long long stretches without road crossings. This is really better suited for walking. This was our first trail ride, had a great time. The trail is beautiful. Yes there are a few spots that you have to ride on the road but it is easy and safe. 95 percent of the ride is on a paved trail. One harry spot that is about 500 feet but other than that, this trail is super. DO IT !! This barely qualifies as a bike trail. 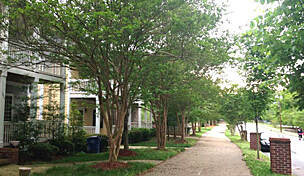 Cuts through parking lots, transitions into busy urban streets, and is not well maintained. It's a shame, because it's the closest trail to where I live. As you will read, there is 4 miles that you have to ride on the streets. There is NO bike lane on the streets, you ride with traffic and they are very busy roads. I realize some people are fine riding on the streets and do it all the time, I am not one of them. I did not feel safe. Because you are transitioning from bike path to streets, clear signs are needed. I took the wrong turn twice. This is the first time i was on the trail, so perhaps I missed the signs, but even if that is the case, the signs are not very apparent. I almost hit several walkers and dogs. People seemed surprised when i yelled out "Bike Left". There are a few tight turns so if you want to ride at a constant, faster speed, you cannot. There are some nice hills on the trails and much of it is pretty. I will not ride this trail again. 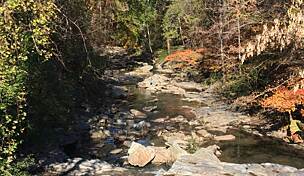 and since we live in decatur and keep annual memberships to stone mountain this is our trail. and PATH has created a space, sometimes off-road, sometimes not, that we can follow...sort of. so yes, i love the trail, wish it wasnt on the road at times and that it was easier to follow the route. we've ridden it a few times, and neighbors ride it more often, but we never like the on-road stretch b/c one likes to be either in the mindset of okay i'm riding on the road, defenses up, or i'm riding on an off-road trail, attention up, but way more relaxing. that's what i'd work towards. more relaxing path.